NSI Copper Lay-In connectors are used for grounding or in continuous loop bonding and are available in several variations, depending on the application. General use for copper wire only. 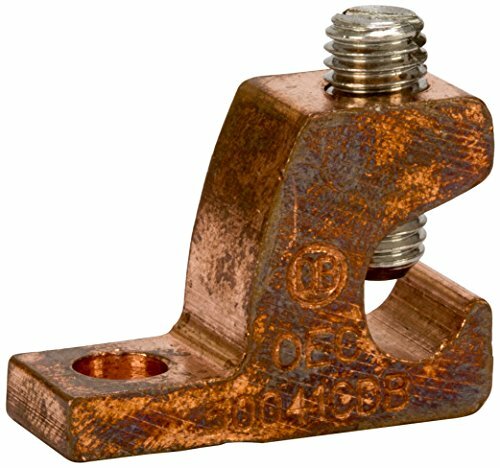 GLC-4 has a copper body with a steel screw and is used for general grounding applications with copper wire. UL Listed for direct burial in earth or concrete with copper wire. 0.218-inches mounting hole diameter. Measures 0.968-inches length by 0.375-inches width by 0.687-inches height.